After Congress passed the Base Realignment and Closure Act (BRAC) in 1988, the Department of Defense (DOD) began the process of shutting down most of its facilities in South Philadelphia and turning them over to the City for redevelopment. The City designated PIDC to manage this redevelopment process. These former DOD properties are now home to a mixture of industrial, commercial, and open space uses. The Philadelphia Naval Hospital Was constructed in 1933 on Pattison Avenue from Broad to 20th Street. 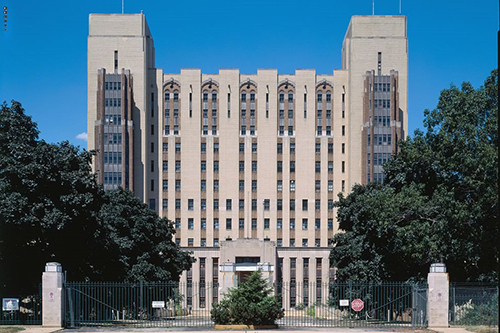 Designed in Art Deco style, it was revered as one of the finest buildings in the city. After 60 years in service as a center for health services for Navy, Marine, and Coast Guard veterans, the hospital closed as part of the BRAC in 1988. 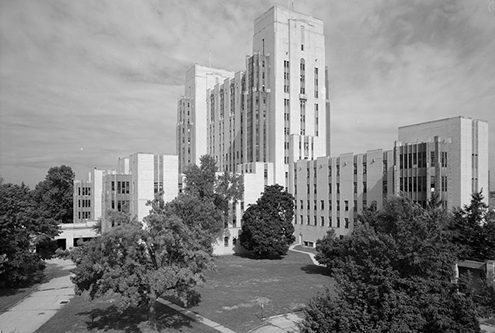 The building was ultimate demolished in 2001. 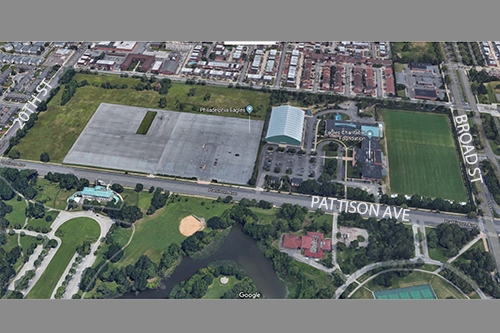 The Philadelphia Eagles’ Training Facility in the NovaCare Complex now sits on a portion of what was the hospital. Quartermaster Plaza is a major shopping center developed on a portion of the former DOD Quartermaster Corps property. Quartermaster Plaza presents a large-scale, traditional big box shopping center experience at the heart of South Philadelphia. The development features a broad array of well-known retail brand names, including PetSmart, Planet Fitness, Home Depot, and BJ’s Wholesale Club. 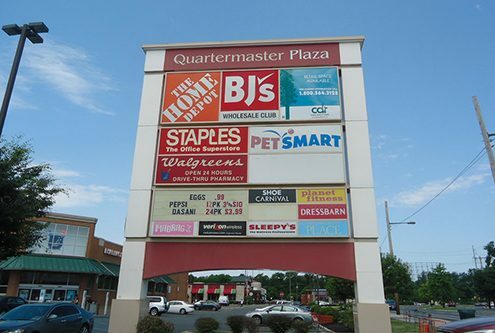 Quartermaster Plaza is a valuable shopping and dining resource to the South Philadelphia region, and currently features 90,000 SF of availability for tenant expansion options. Some of the existing buildings, where military uniforms were manufactured, have been retained and are leased to private companies. 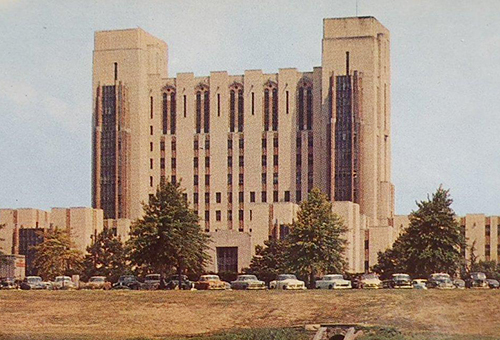 Philadelphia Naval Hospital, Art Deco style, opened in 1935, and was demolished in 2001.